In this webshop you will be able to purchase my GTD/Productivity related products, such as ebooks and templates. For questions and remarks about these products contact me as usual at gtd [at] marvelz [dot] com. Note: All payments are handled by Relaxed Control through PayPal. Products will be available for download immediately after a successful payment. 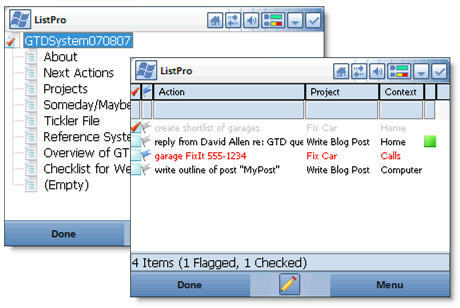 Contains optimized lists for: Next Actions, Waiting Fors, Someday/Maybes, Projects, Tickler File, Reference System Index, GTD Workflow and Weekly Review Checklist. Feel free to test the simplified, free version before upgrading to this full version.